Fuseplusyou.com is a website established in 2003, which offers a massive variety of phone cases, Bluetooth headsets, chargers, cables and adapters for your phone. 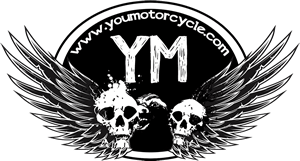 YouMotorcycle was offered a phone case and a set of earphones for review, which we will be bringing to you in two parts. Also, a video review of each of the products will be uploaded shortly so that you can further experience each before deciding how to spend your hard earned dollars. I found the site clean and easy to navigate, refreshing compared to some of the other big-box department store sites which seem to cutter your screen and leave you, the online shopper, confused and frustrated. This site is also mobile friendly, offered detailed information regarding shipping and product delivery and has a blog with new product information and additional product reviews. 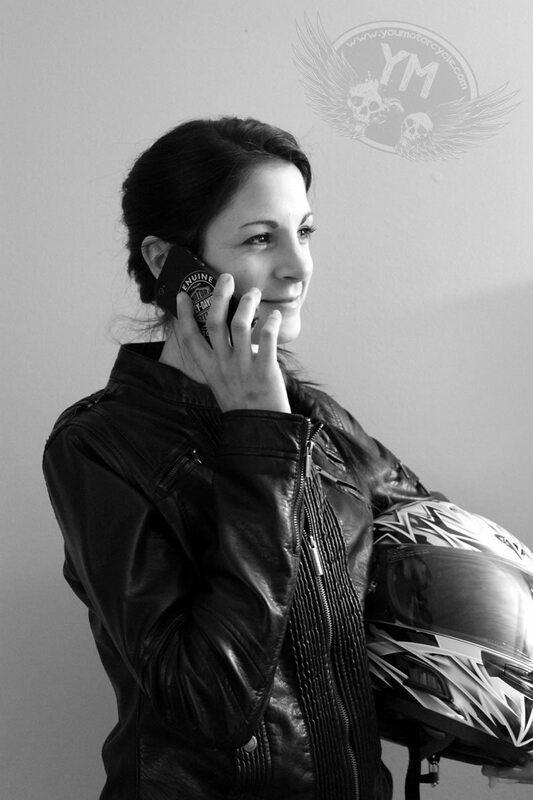 The Harley-Davidson Motor Oil PC Black Shell Case which costs $24.99 and is compatible with the iPhone 4 and 4S. This case includes free shipping to the United States, and usually ships within 24 hours. The Good: What I did liked about this case was its simple design meaning; less fidgety spaces and plastic parts to gather pocket lint and likely snap-off over long-term use. The claimed ‘anti-slip’ matte black finish would be better described as ‘reduced-slip’ but I did like the added security of its finish, combined with the increase ease of gripping the case when trying to fish my phone out of the depths of my motorcycle jacket pocket. When I was initially asked which case I would like to sample I immediately gravitated toward the Genuine Harley-Davidson Motor Oil case because of its old-school design and bold orange-on-black contrasting colours. I am happy to report that the case looked just as awesome as I had anticipated when it initially arrived – and after 7 days of constant use it has zero signs of abuse. I liked the adequate camera/flash hole at the back of the case, and how easy it still is to use the lock and volume buttons with the case on. Siblings aren’t always helpful, but I use mind to call a few times with the case on and off. From my end the audibility of my brother wasn’t affected by the case and, according to him, the case had no negative effect on how he could hear me. The Bad: When I opened the package and dug out the case I was surprised to see that a screen protector wasn’t included. Thankfully I already had a screen protector on my phone (from a previous OtterBox – which I managed to destroy in 30 days), but for a first-time phone case customer or anyone without a screen protector this might be a disappointment. Comparing this case to other of the same prize point it seemed like most didn’t come with a screen protector, yet still it would have been nice if one was included. The Ugly: What made a screen protector so much more desirable was that the case itself offered no protection to the actual front of the phone. Some cases have a lip so that if the phone is placed face-down the case will still be between the surface and the actual phone, but the low profile of this case meant that the iPhone’s glass screen receives no protection at all. Buy/Hold/Sell? 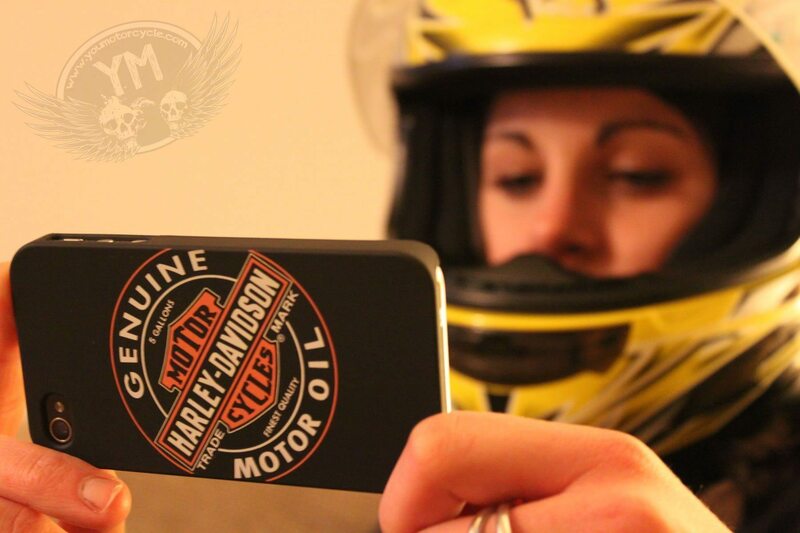 If you’ve got $25 to spend on a phone case, and want to show how much you love the MoCo (Harley-Davidson), then this is a great case to buy. Its high-quality logo on the back gives your iPhone 4 or 4S a cool unique look, and provides basic phone protection in the process. When it comes to items like this I’m more likely to purchase one in person, rather than sight-unseen online, but I can honestly say that this is a good case, and a recommended buy for any Harley fan looking for a unique item baring the bar and shield logo. 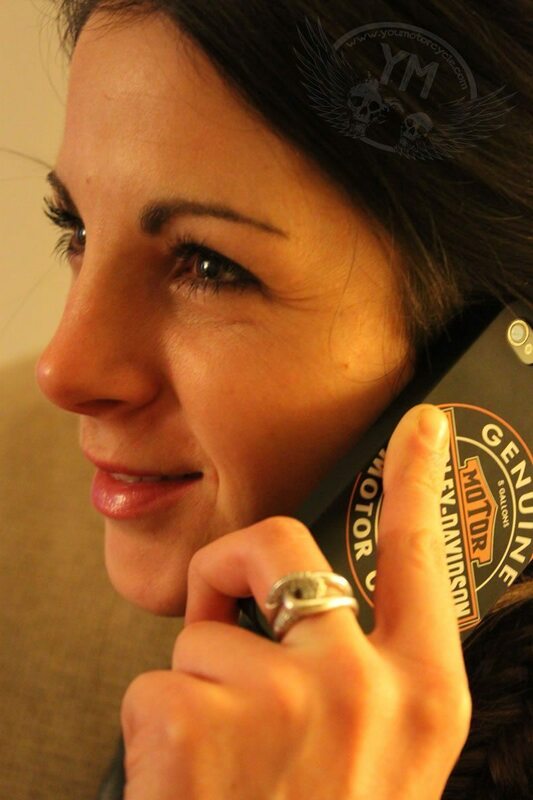 Stay tuned for our take on the Harley-Davidson Stereo Earphones – Black and Orange with Willie G. logo up next.